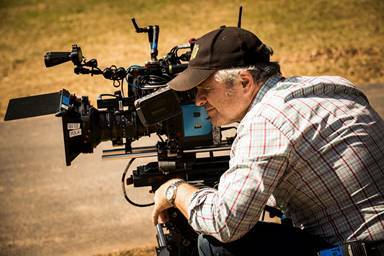 Toby Oliver ACS is an award-winning cinematographer whose career extends from his native Australia to the United States and internationally. Toby now resides in Los Angeles and has forged a remarkable and varied range of credits on feature films, documentaries and television. In the United States Toby shot Jordan Peele's racially-charged thriller horror 'Get Out' in Alabama in early 2016 with Allison Williams and Daniel Kaluuya. 'Get Out' went on to score a rare 100% on Rotten Tomatoes and rank #1 at the US Box Office on it's opening weekend in February 2017. Previously Toby has lensed the Blumhouse Productions' thriller 'The Darkness' (aka 6 Miranda Drive) for director Greg Mclean, starring Kevin Bacon and Radha Mitchell; and in New York he shot the indie fantasy drama 'Wildling' for Maven Pictures and director Fritz Bohm with Liv Tyler, Bel Powley and Brad Dourif. He continued his documentary cinematography work shooting the indie doc 'Roller Dreams' in and around Los Angeles' Venice Beach, and also performed additional photography on the features 'Blood Father' with Mel Gibson, 'Incarnate' for director Brad Peyton (San Andreas) and 'Stephanie' with director Akiva Goldsman (Oscar winner for A Beautiful Mind). Toby finished up a busy 2016 with back to back shoots for Leigh Whannels's 'Insidious: Chapter 4' for director Adam Robitel, followed by writer/director Chris Landon's thriller 'Half To Death' for Universal. Press play on the embedded player below to listen to the interview.